I’m absolutely thrilled to share that one of my images has been commended by the judges of the Landscape Photographer Of The Year 2014 (LPOTY) for the Urban View category and will be featured in the exhibition as well as the book. The exhibition will be on the Mezzanine at London’s Waterloo station and will open on the 1st of December 2014 and carry on to the 31st of January 2015. The image was shot in Margate using an Olympus OM-D E-M1 and Olympus M.Zuiko 25mm f1.8 lens. No filters were used and the RAW file was processed in Apple’s Aperture. You can see the stunning winning images HERE and see a list of all the winners HERE. 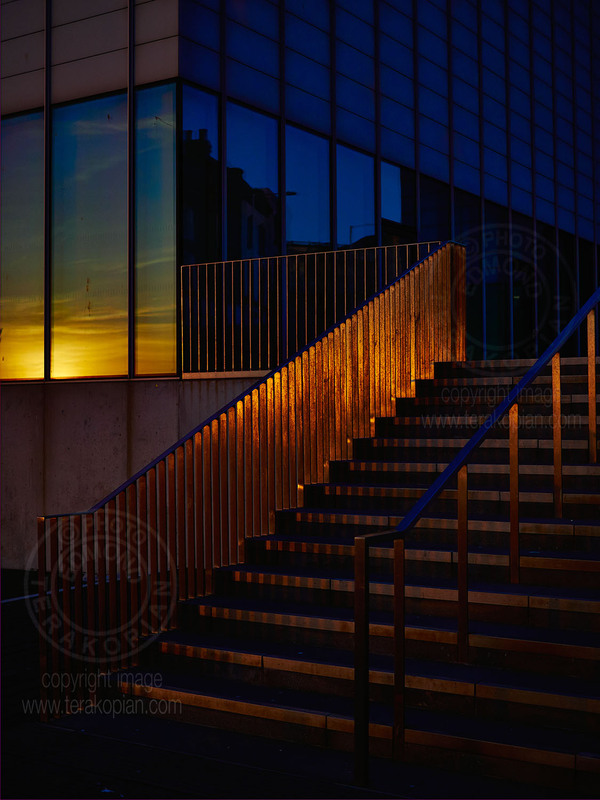 This entry was posted in competition, News, Photography, Pictures and tagged "Landscape Photographer Of The Year", 2014, achievement, art, award, commended, competition, exhibition, gallery, LPOTY, margate, steps, sunset, the Landscape Photographer, turner, turner museum. Bookmark the permalink. Congrats, Ed. An excellently captured image.